As a family law specialist,* certified by the Ohio State Bar Association, I have more than 22 years of experience helping individuals and families navigate the court systems in Stark and surrounding counties. Post-divorce judgments: Including modifying child support and spousal support (alimony) payments. Custody issues: Including termination of parental orders, paternity litigation and fathers’ rights issues. 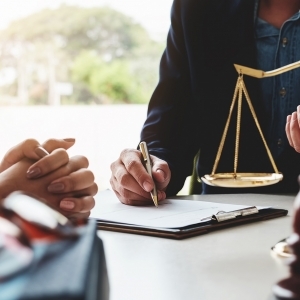 Support enforcement: Including legal measures to enforce child support and alimony payments, as well as negotiating a workout to help obligors meet the terms of their judgments. Motions to relocate with a custodial child: Including negotiating settlements with the noncustodial parent to resolve disputes. Prenuptial agreements and post-marital contracts: Valid agreements regarding predisposition of personal property as individual property excluded from a property settlement, in the event of divorce. Domestic violence: Including orders of protection and enforcement. Adoption: Including agency adoption and stepparent adoption. From my offices in Canton, I advise and represent clients in Ohio family law matters in Stark and surrounding counties. Call my offices at 330-497-1300 or send the email contact form with a brief explanation of your legal needs.